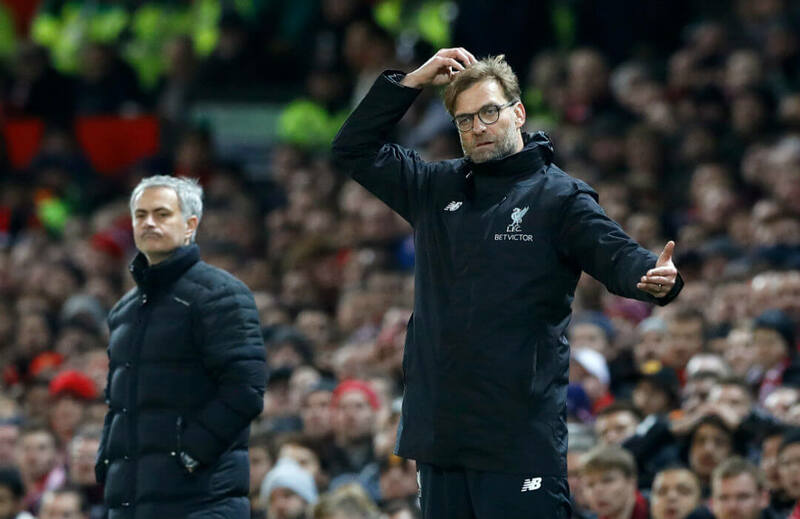 Manchester United face a stern test in Premier League title ambitions against long-time rivals Liverpool at Anfield on Saturday as action in the tournament returns after the international break. At present, United are second in the table – level on points with leaders Manchester City – after a brilliant start to the season. The Red Devils won six of their seven opening games and scored 21 goals in the process. But Jose Mourinho’s men will clash with another title contenders, and the Reds will be desperate to get a win at their territory. Jurgen Klopp’s side have been on a roller-coaster ride as they sit seven points off the pace. A major problem for the Reds will be United hitman Romelu Lukaku, who has scored seven goals thus far to lead the league’s scoring table. The hosts will also have to neutralise other danger men from the visitors like Marcus Rashford and Juan Mata among others. But the absence of playmaker Marouane Fellaini could hurt the Red devils. Fellaini suffered a knee injury while playing for his native Belgium in the World Cup qualifiers against Bosnia-Herzegovina last Saturday. Also out for Mourinho’s side is midfielder Paul Pogba, who is still recovering from a hamstring injury. Meanwhile, Liverpool face a blow in this meeting because they might not have star tandem Philippe Coutinho and Roberto Firmino. Both are said to be still struggling to be 100 percent fit after playing for Brazil, in the World Cup qualifiers. Klopp though is hoping the tandem will be available against the Red Devils. Coutinho has so far contributed three goals and one assist for Liverpool this uk f1 esportscampaign, while Firmino has added seven goals. Before this meeting, United dumped Crystal Palace 4-0 at Old Trafford where Fellaini had a brace, while Liverpool were held 1-1 at Newcastle United. The last time the Red Devils visited the Reds in the League, a scoreless draw resulted. A win for either side in this match will send a message to the rest in the top flight top flight. So who will get the more favourable result in this mouth-watering match? A United win pays 2.75, while a Liverpool victory returns 2.75. A draw is worth 3.25.